When a loved one needs assistance with senior care, everyone wants to make sure that the senior care provider that is chosen is going to provide the best service available. To achieve the highest level of care, the specific needs of the loved one should be taken into consideration. The family should discuss what type of care would best meet the needs of the family member. If the family member is capable, they should be included in the discussion. 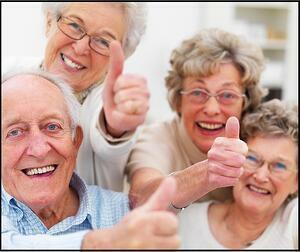 Several different senior care providers should then be interviewed to determine the best fit. The most important point to consider when assessing a loved one’s needs is whether needs include medical care. If a loved one has cancer or another chronic condition that requires frequent medical treatment, senior care should be done by a medical professional. Depending on the severity and staging of the condition, it may be most effective to seek assistance in a nursing home or from a round-the-clock in-home care provider. If a loved one is capable of most tasks but requires assistance with certain things, it may be possible to seek home care service just a few times a week. Different services may offer more cost effective solutions than others while meeting all needs. When researching senior care providers, loved ones should seek a company that has demonstrated trustworthiness. Caregivers should be bonded and insured by the company to ensure safety of the loved one. It is important to understand the company’s hiring requirements, as background checks and competency examinations can have a huge impact on the level of care that is provided by a caregiver. Most senior care providers offer in-home assessments and interviews. When participating in these interviews, it is important to have a list of questions prepared. Having questions prepared will allow seniors and their loved ones to most accurately evaluate the company’s ability to meet needs. It will also help to eliminate unnecessary footwork in the future. How long has the specific agency been providing senior car? Does the agency accept insurance or Medicare? What costs will insurance or Medicare cover? What specific services are provided? How are employees trained after hire? What is the process for requesting changes to care plans? Is staff available 24 hours to answer questions and address concerns?